Do you spend a lot of time collecting names that might be prospects? Do you spend a lot of money learning how to follow prospects on line, so you can guess where they are in the decision making process? Has all of this activity substantially increased your ROI? What you’re forgetting – or ignoring – is that no matter what information the buyer needs, or how often they (and their colleagues) visit your site, or how deftly follow their activity with your ability to track ‘Digital Body Language,’ at the end of the day, you will not be there when they sit down to decide. Nope. The internal decisions that buyers make to choose a solution, to decide to make a change, to select one vendor or solution over another, are off-line. That’s right: you are not there when two department heads have an arguement about which vendor they prefer, or when the tech folks start clamoring to take over a project, or when a partner shows up with a good-enough solution. The highest closing number I’ve heard – and this number is based on a few very large companies having the funds to set up the technology to follow the ‘Digital Body Language’ fromstart to finish – is 15%. That means, they are only wasting 85% of their time and effort. Yet because the sales model is so inefficient and typically yields a 7% close, folks think 15% is great. It’s like saying that a doc has to amputate one of your legs, and won’t you be lucky that you’ll still have one leg. WHAT IS MISSING FROM LEAD GEN? With all of this talk and money being thrown at ‘lead gen’ what is missing? What’s missing is that it continues to focus on the secondary phase of the buying decision: the solution placement end (OK and the needs assessment – but that only pays lip service to solution placement. You wouldn’t call someone on a whim and ask them about their needs if you had nothing to sell.). figure out how to meld the old with the new so there is little disruption. Sales doesn’t do this. Which means, if you’re not using Buying Facilitation™ or some form of non-sales decision facilitation method, the best you’ll be able to do is: A. with technology, monitor activity or place data about your solution; B. with sales techniques and a sales person, gather data, get intorelationship, spout solution details, and manage the events. 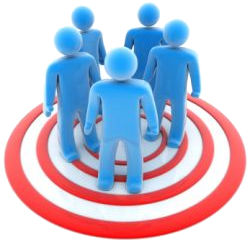 Do you need to drive prospects to your site so you can gather names and follow them? Of course. But don’t forget the additional steps: contact your prospects; help them discover how they need to manage internal buy-in, and who needs to be involved. Once they figure out how to move forward with buy-in, and the criteria they’ll use to choose a vendor or solution (and you knowing this doesn’t help them decide! ), then you’ll be able to sell. Lead gen gets you good prospects. But these prospects are worthless if they don’t buy. Read my new book Dirty Little Secrets: why buyers can’t buy and sellers can’t sell and what you can do about it. It will help you. I think as business owners and marketers we easily forget that our prospect is all about what he/she DOES and NOT about what WE want to sell him/her. i.e. there is always a back-story that needs context before they can buy a darned thing.